The New York Lizards of Major League Lacrosse will give complimentary tickets to all members of the police force in the Tri-State area for their May 16th game against the Chesapeake Bayhawks to honor Police Appreciation Week and late NYPD Officer Brian Moore. The game will take place at Hofstra University’s James M. Shuart Stadium at 5 p.m.
Police Appreciation Week pays special recognition to those law enforcement officers who have lost their lives in the line of duty for the safety and protection of others. Additionally, a portion of proceeds through tickets purchased the day of the game will go to NYC Patrolmen’s Benevolent Association Widow’s and Children’s Fund on behalf of the family of late NYPD Officer Brian Moore. The PBA Fund provides aid and assistance to widows, widowers and eligible dependents of police officers who have lost their lives in the line of duty. “The police officers in the Tri-State area deal with some of the most stressful situations on a daily basis. 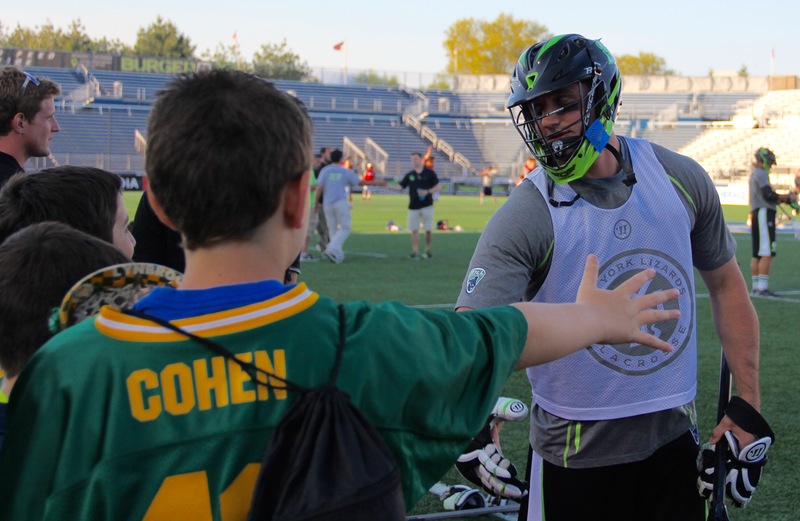 We hope that they can come to the Lizards’ game this weekend and, for a couple of hours, relax and have some fun,” said New York Lizards CEO, Jeff Rudnick. The New York Lizards’ players recently honored Officer Moore during their May 8th game against the Boston Cannons by holding a pre-game moment of silence and wearing blue tape on their helmets with Moore’s initials. Further, Cascade teamed with New York to create a commemorative decal with Moore’s initials that will be worn on all player helmets for the remainder of the 2015 season. The May 16th game will be played at Hofstra University’s James M. Shuart Stadium at 5 p.m. All members of the police force that would like to take advantage of this offer will be asked to show their badge at the ticket window on game day in order to receive their free ticket.